Two studies recently published in Nature set a new standard for so-called "Earth-like" exoplanets. Research into atmospheric conditions show that GJ 1214b, one of the exoplanets closest to Earth, is covered in clouds, just like Earth. To be precise, the clouds on GJ 1214b aren't necessarily the exact same as the clouds on Earth. Astronomers first suspected clouds on the planet in 2010, when they found that starlight wasn't shining through its atmosphere. They hypothesized that the atmosphere could be made of water. Thank to the Hubble, a new study of how infrared light interacts with the atmosphere shows that there are also clouds which may be composed of zinc sulphide or potassium chloride. There's a chance that the rest of the atmosphere is composed of water. This is not an isolated case. The other study published in Nature shows similar clouds enveloping a nearby Neptune-like exoplanet, GJ 436b. 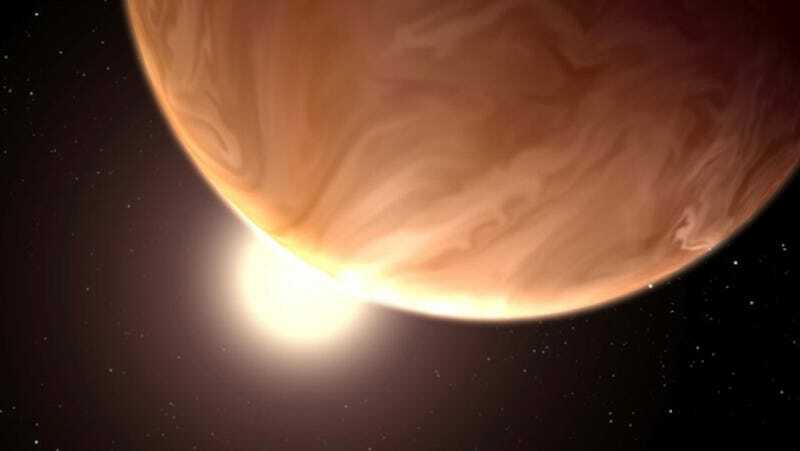 Astronomers also studied the behavior of infrared light shining through the atmosphere and concluded that the planet's either shrouded by clouds or the atmosphere is made up mostly of heavy molecules like water.